Toshiba, today announced that it will launch the world's first SDHC memory card with embedded wireless LAN functionality to meet the SD Memory Card Standard. 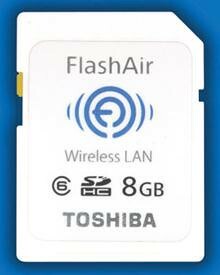 The new card, "FlashAir", has an 8GB capacity and supports both peer-to-peer transfers and uploads to and downloads from servers. 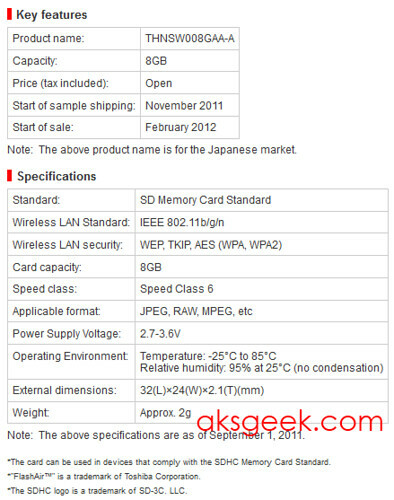 Samples will be available from November 2011 and sales will start in February 2012.